Airbnb has got to be one of the biggest ways that people can experience small living. Not only is the Mushroom Dome Cabin in Aptos, California (a 200 square foot delight tucked into a forest) the most booked Airbnb property in the world, but it’s also a tiny house. 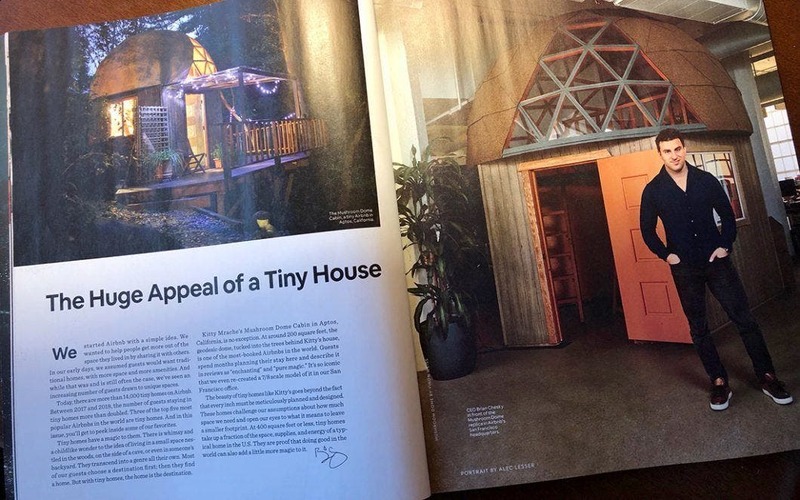 The latest issue of Airbnb Magazine features tiny homes and a mockup of the popular Mushroom Dome Cabin at the Airbnb headquarters. The latest issue of Airbnb Magazine focuses on a variety of tiny homes around the world. According to Airbnb CEO Brian Chesky, the website features over 14,000 tiny homes and the bookings for them more than doubled between 2017 to 2018. Airbnb makes tiny houses available for anyone who wants to experience a different type of home. The Portland Tiny House is located in the Alberta Arts area of the city. 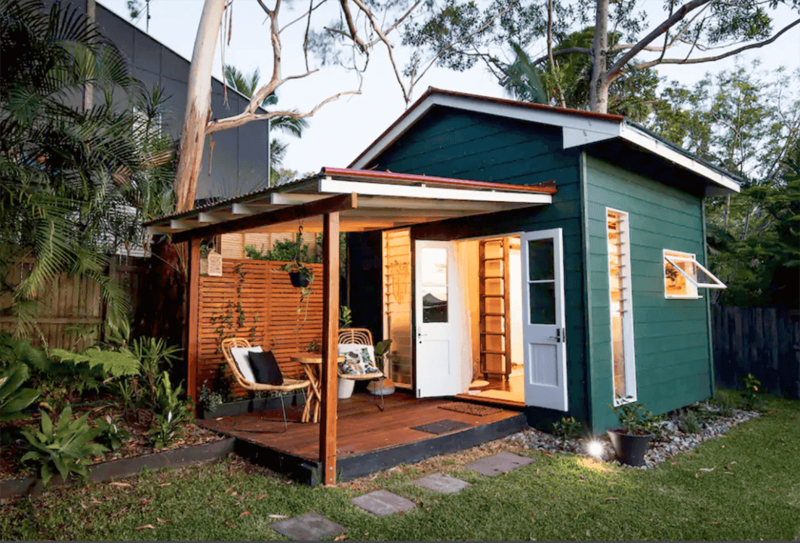 The article features the Portland Tiny House owned by Duston and Genevieve, Tiny House by the Oslo Fjord owned by Paulin, and the Hale Douglas in Sunshine Beach, Australia. Each of these tiny homes are tucked in the backyards of main homes, yet offer privacy and beautiful interiors. The Tiny House by the Oslo Fjord has a wood-fired outdoor tub. The Hale Douglas features doors and windows from a junkyard. 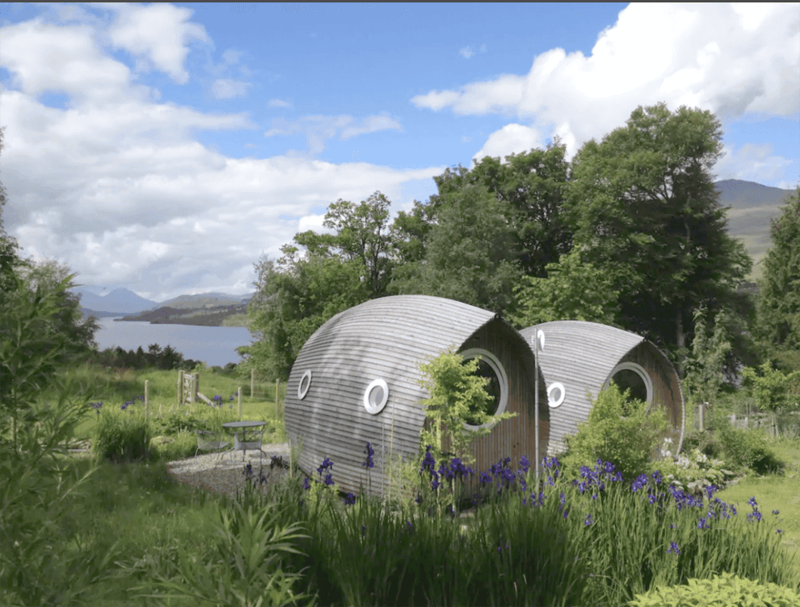 Two unique spaces profiled in the article are the AirShip in Drimnin, Scotland and the Minimalist Sanctuary with Valley and Sea View in Crete. 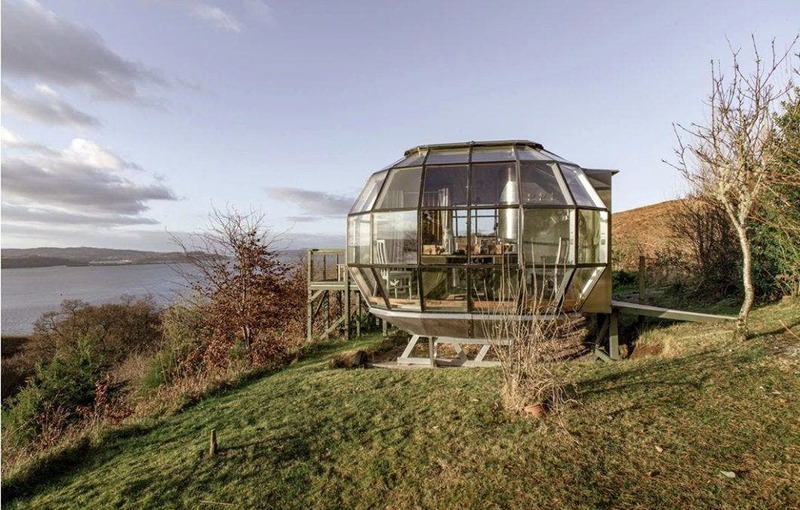 Owned by Roderick James, the AirShip is a glass ball perched on the edge of a field looking across the Sound of Mull. 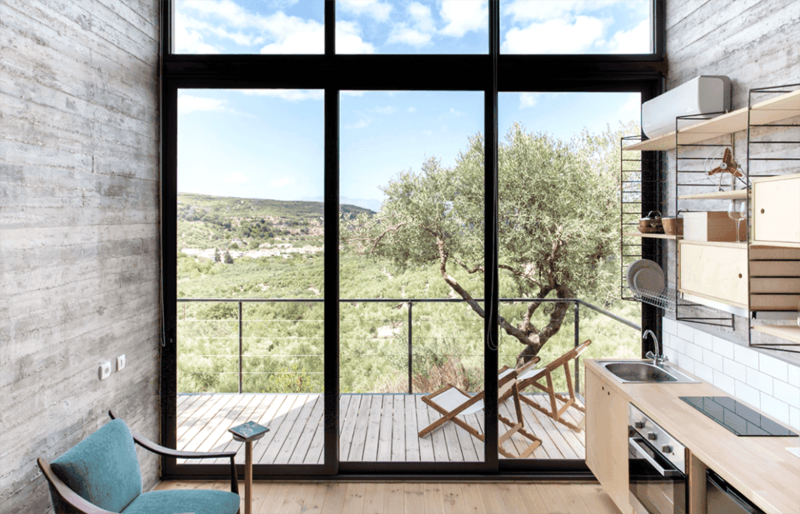 The little home in Crete is owned by Sofia and Antonis and is a glass and concrete nest with a balcony and tiny kitchen. These two homes are not your typical tiny home, but they do profile the special creativity that can be shared on Airbnb. The AirShip consists of 3,000 components and dragonfly windows. This sanctuary on Crete was custom designed after the area’s shepherd sheds.